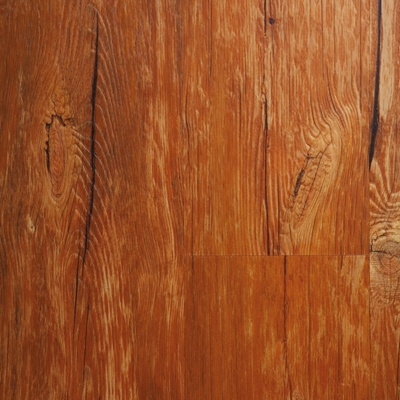 The look of natural wood with textured emboss surface that matches the wood grain pattern. The contrast of the knots and fine lines of the growth rings create a unique natural effect. Luxury vinyl tile has come a long way in style and design over the years and is definitely not what it used to be. LVT Flooring, Luxury Vinyl Tile, and Luxury Vinyl Plank Flooring are some of the best types of vinyl flooring in the world. Whether you’re considering a hardwood floor look, a slate-like appearance or even something more unusual (your company's logo, a custom pattern, or a floor mural with the image of your choice), we can provide options that will change your attitude about vinyl. With over 125 tiles to choose from, you’re sure to find the right floor for your project. If you have a custom design in mind, let us know. We can reproduce any image you can imagine in a vinyl floor tile. LVT Flooring is a great option because it will wear extremely well and will look beautiful for many years to come. All of our Luxury Vinyl Tile Flooring products are made to withstand high amounts of foot traffic as they are are engineered to withstand the rigors of daily traffic. They are manufactured for high performance applications in commercial, healthcare, retail and hospitality facilities, whether it's a busy retail environment, a commercial office building or even a night club. Manufactured with five layers of construction, our floors are built to last the lifetime of any project. Our new UV cured microscopic glass bead top surface is the latest in slip-resistant technology. Not only does it make our floors safer, they're now also virtually stain-proof and easier to clean and maintain! LVT is also an affordable, durable, water resistant flooring option for your own home that can be installed virtually anywhere and by anyone. It is so easy to install that anyone can become a do-it-yourself person. Because our tiles contain recycled content and are made with low-emitting materials, using our products will help your building project attain points towards LEED certification. LEED (The Leadership Energy and Environmental Design) is the standard for design, construction and operation of a green building. Let us help you with your next project. No job is too large!